Members of the Asom Gana Parishad (AGP), led by former Assam Chief Minister Prafulla Kumar Mahanta, along with the activists of North East Student's Organisation (NESO), led by its Chairman Samuel Jyrwa, reached the residence of Meghalaya Chief Minister Conrad Sangma in New Delhi to thank him for his concerted efforts to prevent the Bill from being passed in the Upper House. The Citizenship (Amendment) Bill, which was passed by the Lok Sabha on January 8, seeks to amend the Citizenship Act, 1955, to grant Indian nationality to people belonging to minority communities - Hindus, Sikhs, Buddhists, Jains, Parsis and Christians - in Afghanistan, Bangladesh and Pakistan after six years of residence in India. "It is indeed a great and emotional moment for all the citizens of the Northeast, as well as the country. Even the students' bodies, civil societies and NGOs stood together to oppose the Citizenship (Amendment) Bill. Today the sentiments of the people, especially those from the Northeast, have prevailed. The voice of the people has prevailed. It is a great moment for each one of us," an elated Sangma told journalists. 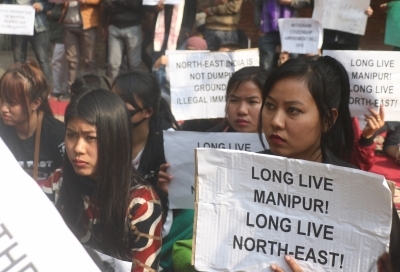 Congratulating the indigenous people from the Northeast for "their united and concerted effort" in opposing the Bill, Jyrwa said, "NESO would like to take this opportunity to call this momentous occasion a 'moral victory' for the indigenous people of the Northeast. We could stall this Bill only because of the united and continuous movement of the people. "This also shows that the government of India will not concede to our demands on a platter, but that we have to fight and struggle for the protection and survival of the indigenous people of the Northeast. "NESO would like to give a strong warning to the government of India to not adopt or implement policies which are detrimental to the interest of the indigenous people of the Northeast," Jyrwa said. Jyrwa said the apex students' body of the indigenous communities will not forget all those people who were injured during this movement, especially in Tripura, Manipur and Assam. NESO saluted their bravery and wished for their speedy recovery, he said.